Harare - Zimbabwe international Talent Chawapihwa has joined Durban side Amazulu as opposed to his hugely anticipated move to Supa Disk giants Kaizer Chiefs. The Warriors forward beat the January transfer widow to pen a three-and-half year deal from Baroka. He will join fellow countrymen Ovidy Karuru, Butholezwe Ncube and veteran goalkeeper Energy Murambadoro. Chawapihwa is a vastly talented player, attracting interest from soccer heavyweights, including Kaizer Chiefs. “The clubs have been in talks and they have agreed personal terms with the player so he is moving,’’ said Calvin Nyazema, a sporting expert. Chawapihwa had been with Baroka since July 2017 and rose to become one of their star performers last season. 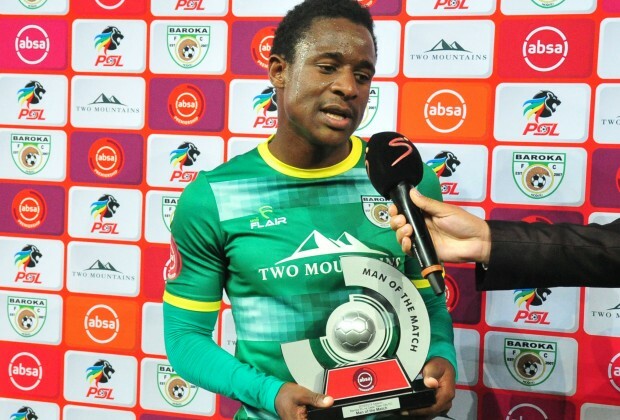 The 26-year-old helped the Limpopo side win their maiden trophy in the Absa Premiership last year when they lifted the Telkom Knock-out cup trophy after beating Orlando Pirates on penalties. Chawapihwa made 21 appearances in all competitions this season and attracted a lot of interest in the South African PSL. His employers, however, insisted that they would not rush to sell him and had put a price tag of between R3m to R5m on his head. Club chief executive, Morgan Mammila, was on record saying the Warriors midfielder was their most prized asset. But things took a sudden twist during the week when Usuthu sold their Argentinean striker Emiliano Tade to Mamelodi Sundowns and were in immediate need for replacement. “Going forward, I think he will only do well at AmaZulu. They have a very good attacking formation and they use pace when going forward, which is Talent’s biggest strength. He has the pace and I think he will fit in easily in the set-up,” said Nyazema.